This convenient tool does the job of three tools. It cuts and strips 10-26 AWG stranded cable and 8-22 AWG solid wire. 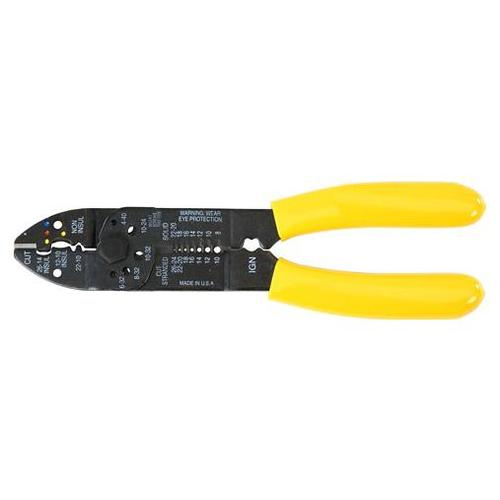 Cuts up to 5 sizes of bundled cable and crimps 10-26 insulated terminals, and 10-22 non-insulated terminals. Oil resistant dipped handle allows for comfortable and sure grip. Rust resistant finish on the tool keeps corrosion at bay, maximizing the life of your tool.